When it comes to enrolling clients for your coaching program, mindset matters. A lot. The intention that you go into a call with will impact everything that happens during that conversation, including its outcome. If you don't have the right intention during these conversations, you're going to end up missing out on a lot of people who you can help. On the other hand, when you have the right intention going into an enrollment call, everything becomes easy. You feel less pressure, the client feels less pressure, and ultimately you're more likely to get paid (assuming that it's a good fit). 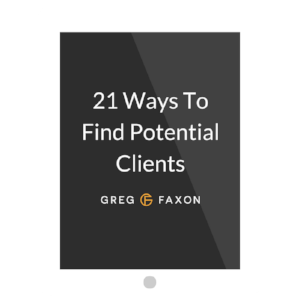 So: what's the best mindset for enrolling your ideal clients? I'll get to that in just a minute. First, I need to explain the two most common mindsets that people use when approaching an enrollment call. On one side of the spectrum, we have coaches who go into an enrollment conversation just wanting to make the other person feels good. They don't want potential clients to be uncomfortable. Either consciously or unconsciously, they want the other person to like them. This is the "Please" mindset. When your intention is to please potential clients, it can seem like you're being noble and respectful. The problem is, it's impossible to have this mindset and also give the person tough love or tell them the honest truth when they need to hear it. You'll be too afraid to upset them or to come off as aggressive. This intention also makes overcoming objections really difficult because it's impossible to both help the person make a scary decision while also having them be 100% comfortable throughout the process. On the other side of the spectrum, there are coaches who go into enrollment conversation just wanting the other person to invest in their coaching. This is the "Sell" mindset. Unlike the pleaser, someone with the intention to sell doesn't necessarily need the other person to feel good. And they are willing to have the conversation get a little bit uncomfortable. In fact, a coach in this mindset feels uncomfortable a lot because they constantly put pressure on themselves to make the sale. One problem with having this intention is that potential clients can tell immediately if you're just trying to enroll them at all costs. This mindset usually comes off as needy, or at the very least undiscerning. Coaches with the "Sell" mindset have trouble building trust with potential clients and, even worse, they sometimes end up having people pay them who aren't a good fit for their coaching. So, on one side of the spectrum is "Please", and on the other is "Sell". There is a middle way here. The best mindset for enrolling your potential clients is the "Serve" mindset. Coaches with this mindset go into enrollment calls with the sole intention of making sure that the other person is going to be better off by the end of the call than they were before the call. Sometimes that means not inviting a potential client into your programs because you're not the best person to help them. Other times it means putting a stake in the ground for that person and helping them commit to changing a certain area of their life with your help (even if that commitment is scary). Coaches who have the intention to serve are able to detach themselves from the outcome of the call and focus on the process. Remember that this person is someone that people care for. They probably have parents, maybe sibling and kids. They have goals and fears just like you that they are navigating. Set the intention for yourself that no matter what, this person will be better off for having spoken to you. There may be things you have to tell them that feel intense. It may turn out that they are not a good fit for you. Whatever happens, remember why you are coaching in the first place and commit to making sure that this call right now furthers that mission. If you do a good job at assessing what that person needs, and if you're able to hold yourself and them to making the best decision for both of you, you'll be in good shape. Don't sell. Don't please. Serve.